Burger King has good fast food on their menu already, but with some additional customization, the food goes from great to fantastic! That’s what the Burger King secret menu is all about. It’s about exploring new flavors, experimenting with different combinations, and making what you eat your choice. 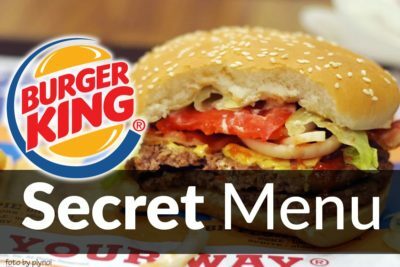 The Burger King secret menu items below have been passed from person to person through word of mouth and are being compiled for the first time. Being part of an underground community has its perks. It makes you feel like you are part of an exclusive club! What is on the Burger King Secret Menu? 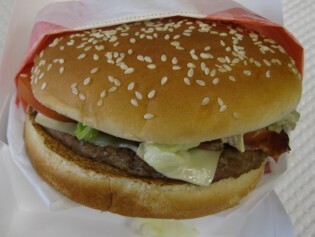 I never would have thought that it was possible to improve the Whopper. This proved me wrong. Even more so than the Carl’s Jr secret menu which I’ve yet to get over. It’s simple – take the already mouthwatering, juicy, beef patties topped with fresh lettuce and tomato – and lay crispy bacon strips on top of it. The combination of one of the most consumed burgers in history with the most universally loved meat topping in America makes for a revolutionary taste. The lettuce and tomato are already there. Just ask for extra bacon on top of your Whopper, and for a slight increase in price, you can experience the glory that is the BK BLT. 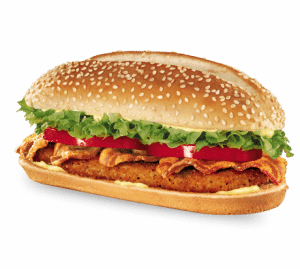 Take the boring, traditional chicken sandwich to another level by getting a club at your local Burger King. Who needs to go to a sub joint when a juicy chicken sub is only $4 in the drive thru? The club is comprised of warm sesame seed buns packed with crispy chicken, bacon, lettuce, tomato, and cheese. If this gem were better known, it’s certain to be a hit. I’m getting hungry just thinking about it. To order one, ask for the BK Club, but if they don’t know what you mean — chances are they don’t recognize the name – just order an original chicken sandwich with bacon, tomato, and cheese. Try not to devour it too fast. Rather than a modification to already-established menu items, this delicacy is a unique being of its own, simply made up of ormelted cheese between a sesame seed bun. This entrée is sure to put any Arby’s stockholder on edge, with such a cheap, mouthwatering option to rival its standard sandwiches. 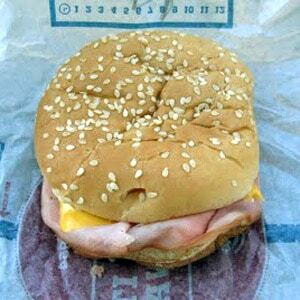 Just ask the clerk for ham and cheese on a sesame seed bun and they’ll put the pieces together. It’s sure to have you coming back for more. Following the mix and match principles of Chipotle’s toppings, this innovative side solves the age-old dilemma between ordering french fries or some crispy onion rings. 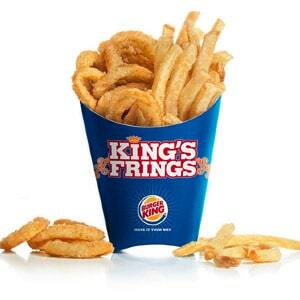 Get an order of half onion rings, half fries, to satisfy all of your crunchy fried food needs. Never again will you have to stammer, faltering between your desires to have both amenities. Enjoy both deep-fried delicacies in tandem with your entrée of choice. To order one, just ask for an order of half fries, half onion rings. They’ll get the picture. Besides, they’re sure to understand it once you keep coming back to order it time and again. If you’ve ever eaten a Whopper before, you’re certain to have noticed the creamy mayonnaise slathered all over the bun that mixes perfectly with the fresh ingredients encompassed by sesame seed buns. They slather it on thick, ensuring a kick of flavor – a blessing for those who love mayonnaise. 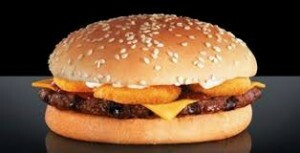 For those who don’t, however, there is hope: the Mustard Whopper. It’s exactly what it sounds like – a Whopper with mustard instead of mayonnaise. Now, it’s also possible to get a mayo-mustard combo, but most people prefer one or the other. This innovative information makes the Whopper an option once more for mustard lovers. Just ask for mustard instead of mayonnaise. It’s free and sure to be a change of pace for seasoned Whopper fans or the Holy Grail to mustard lovers. 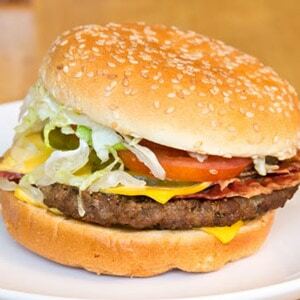 The Rodeo Burger adds the extra kick to your beef that’ll have you hanging onto your seat. After a brief period as a part of the menu available to everyone, the burger faded into remission, but remain a member of the fabled secret menu. Don’t settle for a boring burger and cheese. Take your fast food experience to the next level by adding the tasty crunch of onion rings and sweet, tangy BBQ sauce. Personally, I question why this burger ever left the regular menu, but I’m just thankful it’s still an option. Ask for onion rings and BBQ sauce on your burger and the BK employees will be happy to oblige. Enjoy the decadent dining experience that’s bound to ensue! My jaw literally dropped upon seeing this monster for the first time. It dropped further after reading the price. For only $4, you too can get four beef patties, four slices of cheese, bacon, and the special sauce jammed between two sesame seed buns. This behemoth creation of a burger is probably one to avoid for the weak of heart, literally and figuratively – it’s too big for most to eat, and there’s so much grease that I’d be a little afraid to down one if I had a history of heart problems – but it is oh so worth it. Any avid fan of a good burger will be unable to control their watering mouth upon seeing this burger. Just writing about it is making me salivate uncontrollably. 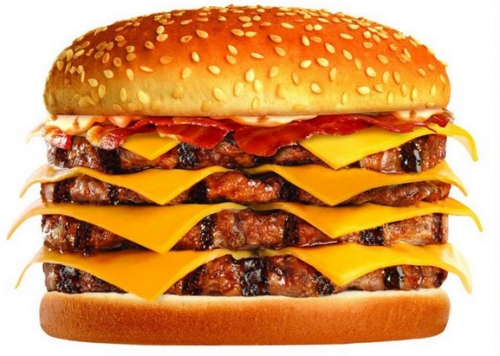 Try asking for a Quad Stacker to order one, but if they don’t understand, just say it’s four beef patties, four slices of cheese, bacon, and the special sauce in a burger. Let them whip up this masterpiece and bask in the beefy glory. In a complete polar opposite of the Suicide Burger, the Veggie Burger is made for those who don’t savor the chance to tear into a piece of beef. Rather than the traditional beef patty, this burger comes with a tender veggie patty and all the associated toppings. 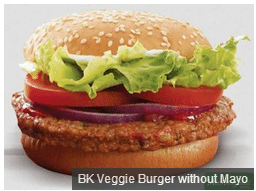 Admittedly, this is not my cup of tea, but it gives vegetarians the ability to (somewhat) try the Whopper, and get a filling meal at a fast food joint. To order one, just ask for a veggie patty instead of beef on your Whopper. Keep things healthy while savoring the flavor!